The Foxglove pug, a moth larva, (yellowish-green with purplish markings) seals the mouth of the flower shut with silk, and feeds inside on the reproductive organs. Lepidoptera eat the leaves, the Lesser Yellow Underwing. active and important constituents: digitoxin, digitalin, digitalein and digitonin. digitoxin is the most powerful, and very poisonous. digitonin is a cardiac depressant. 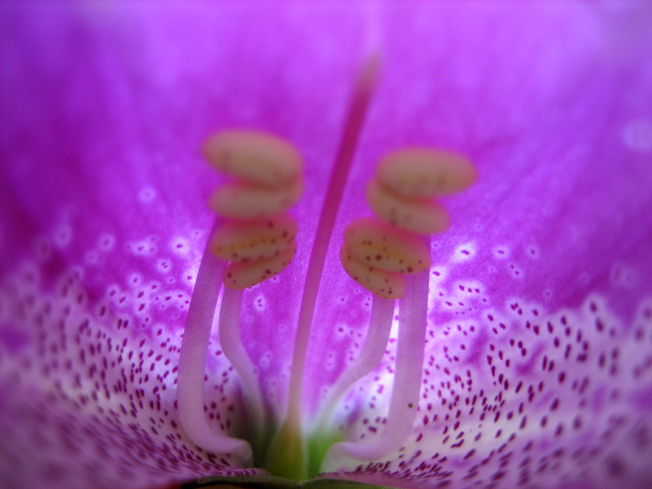 the group of medicines extracted from foxglove plants are called Digitalin. The common foxglove is extremely useful in treating heart conditions, to increase cardiac contractility and as an antiarrhythmic agent to control the heart rate, particularly in irregular (and often fast) atrial fibrillation. 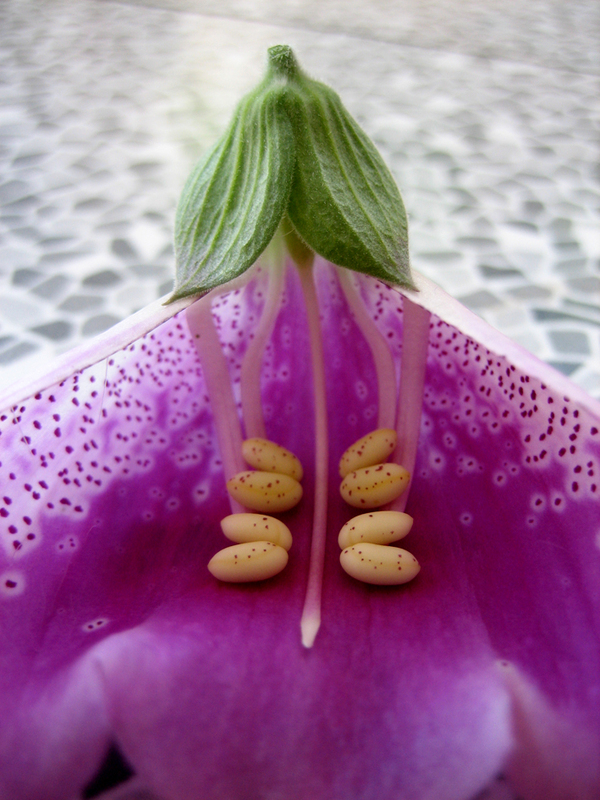 The constituents of foxglove increase the activity of the heart, arterioles and other muscle tissue. An initial dose can raise blood pressure considerably but a moderate dose can slow the pulse and cause an irregular pulse to become normal. 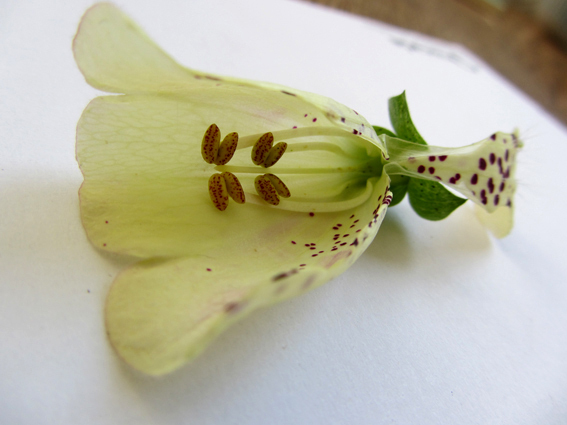 Common foxglove can also be used as a diuretic for the kidneys, for epilepsy, internal bleeding and inflammatory disease. In homeopathy, it is is also used for depression, migraine and insomnia. The entire plant is toxic, including the roots and seeds, although the leaves of the upper stem are particularly potent, enough to potentially cause death. Early symptoms of ingestion include nausea, abdominal pain, delirium, hallucinations and severe headache. Depending on the severity of the toxicosis the victim may later suffer irregular and slow pulse, tremors, various cerebral disturbances, especially of a visual nature (unusual colour visions with objects appearing yellowish to green, and blue halos around lights),convulsions and deadly disturbances of the heart. There have been instances of people confusing digitalis with the relatively harmless Comfrey plant (which is often brewed into a tea) with fatal consequences. 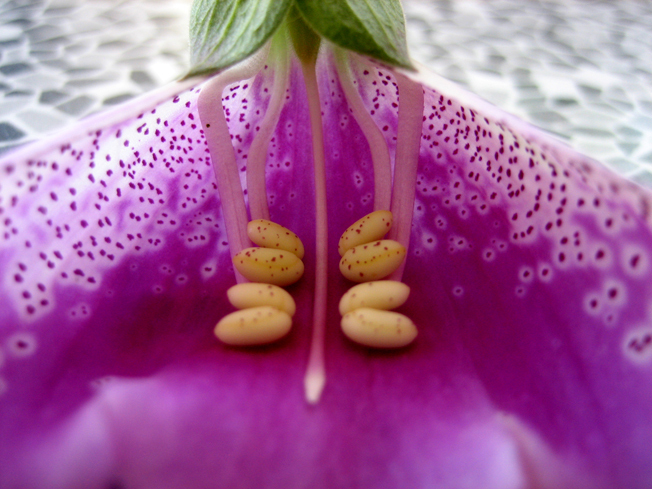 Other fatal accidents involve children drinking the water in a vase containing digitalis plants. 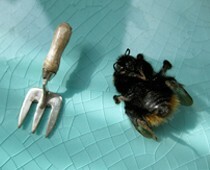 The plant is toxic to animals. 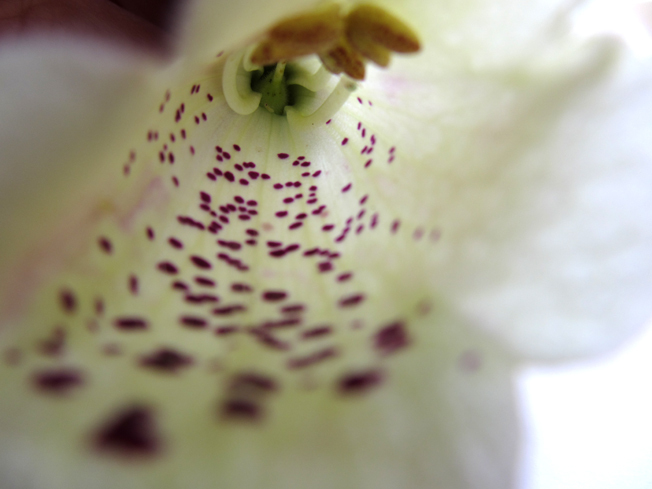 Digitalis poisoning can cause heart block and either decreased heart rate or increased heart rate, depending on the dose and the condition of one’s heart. exquisite light passing through the florescence. 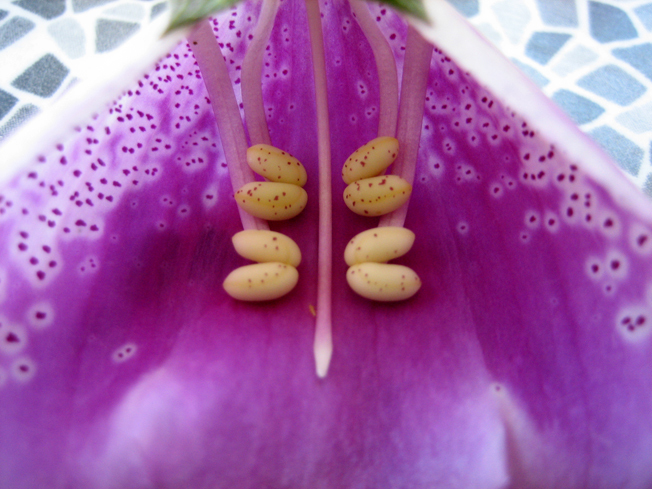 only afterwards did i read about the digitalis and it’s qualities.